Anybody who knows me will undoubtedly be aware of my complete love for tea and coffee of all varieties. I usually drink coffee 2-3 times a day purely as an energy boost and simply because I am totally addicted to it. I am really tying to adopt a healthier lifestyle and I have really struggled to find a healthy alternative my tea and coffee addiction to boost energy levels without constantly having to fuel myself to avoid the dreaded mid day energy crash and comedown, having tried tried and failed with countless other alternatives, including regular green tea, to satisfy this! 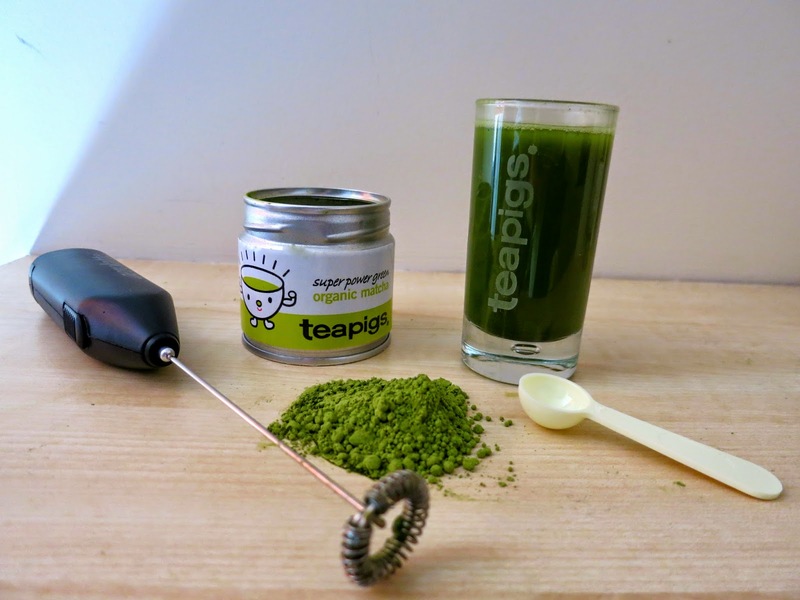 As we welcome in the month of May and wonder how on earth we are 5 months into the year already, one of my new favourite brands Tea Pigs, who specialise in delicious high quality and organic teas, is launching a marvellous matcha may campaign in celebration of everything matcha green tea, to raise awareness of it's absolutely incredible health benefits and superiority over other green tea varieties. The folks over at Tea Pigs were kind enough to send me over my very own 30 day matcha green tea starter kit, including all of the essentials needed to experience the benefits of a matcha tea for a whole month! 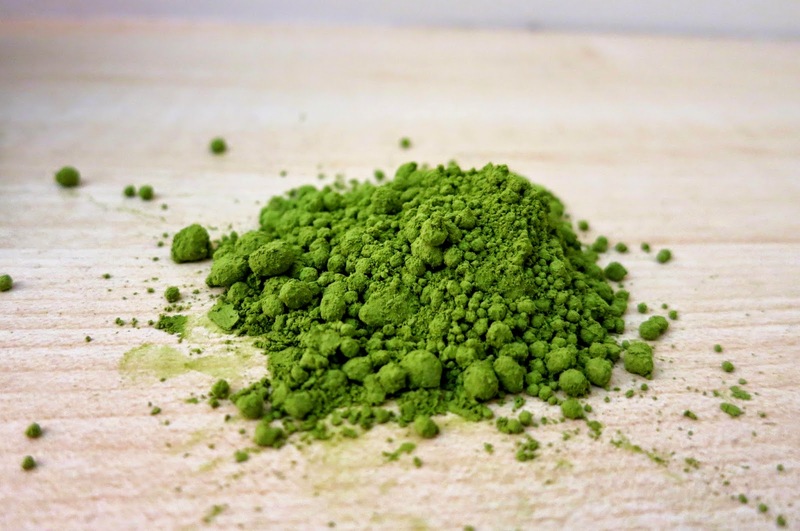 What is matcha green tea and where does it come from? 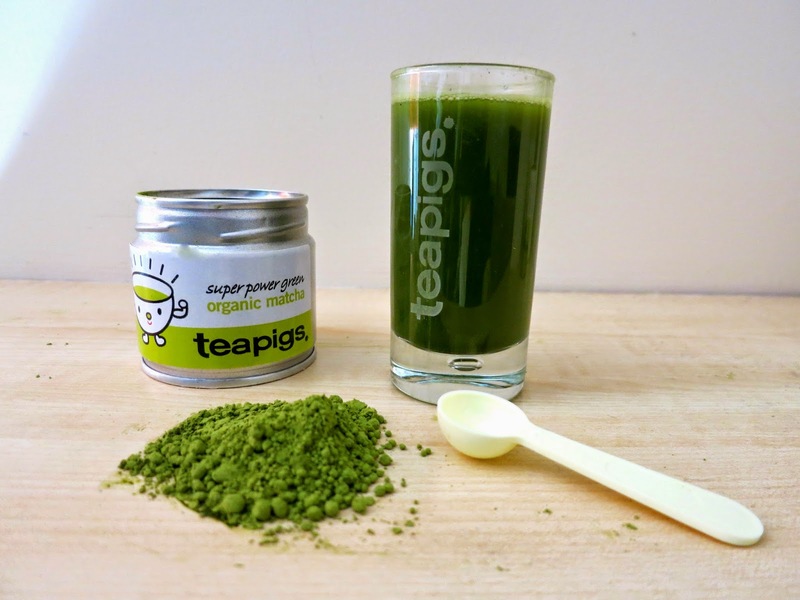 Matcha green tea is a finely ground green powder made from 100% natural, organic tea leaves. As one of many Japanese health innovations, matcha was founded in the renowned Nishio region and supposedly used ceremoniously by Buddhist monks to increase calmness and focus while maintaining alertness during meditation...if it is to the satisfaction of Buddhist monks, notorious for their talents and abilities, then surely it must be something pretty special! Matcha tea may just look like a typical green powder on the outside but it is created from specifically shade grown tea plants to avoid direct sunlight and increase chlorophyll content, healthy nutrients and essential amino acids packed into each and every leaf. You may have heard of antioxidants before, they are natural chemicals that are proven to help prevent against symptoms of degenerative, age-related diseases and it is also suggested that they cleanse your body of free radicals for clearer skin. 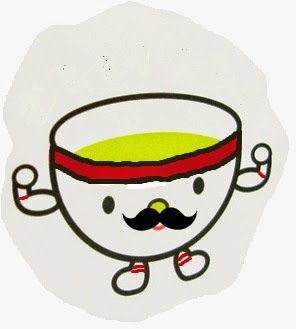 Matcha green tea is absolutely crammed full of antioxidants, more so than any other so called 'super food' out there. In fact, research shows that it contains 137 times more of the good stuff than regular green tea and around 20 times more than their nearest rivals pomegranates and blueberries. You would have to drink 10-15 cups of regular green tea to match this antioxidant potential, making matcha green tea the perfect everyday immune system booster. Matcha green tea is calorie free itself, as well as producing a slow release form of energy, helping you to keep on powering through the whole day without the 'come-down' associated with coffee. This, combined with natural ingredients promoting fat oxidation and increased energy usage means that your metabolism is increased and more calories will be burned, creating a much more natural metabolism booster than coffee, without any added stress or blood pressure increase within the body. Unless you are a nutritionist, scientist or really in to your chemicals, I very much doubt that you have ever heard of L-Theanine before. L-Theanine is an amino acid which is supposed to induce relaxation and calmness while also enhancing memory, focus, learning ability and counteracting the added negative side effects of caffeine. I don't know how much of an effect this has on the body, but surely it's definitely worth a try to boost your performance before your next exam! 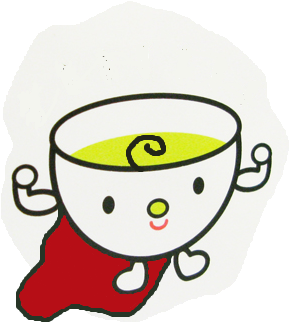 What makes matcha green tea so superior to regular tea? When making a good ol' regular brew, you usually end up wasting countless nutrients and minerals by throwing away the teabag, with the water only extracting a small fraction of the potential goodness locked away inside the tea leaves. Matcha green tea utilises tea leaves to their full potential by ensuring that you consume the whole tea leaf, in the form of a concentrated and far more versatile organic powder, enabling you to let your creative imagination run wild and diffuse in water, juice or even add as a healthy kick to a green smoothie. 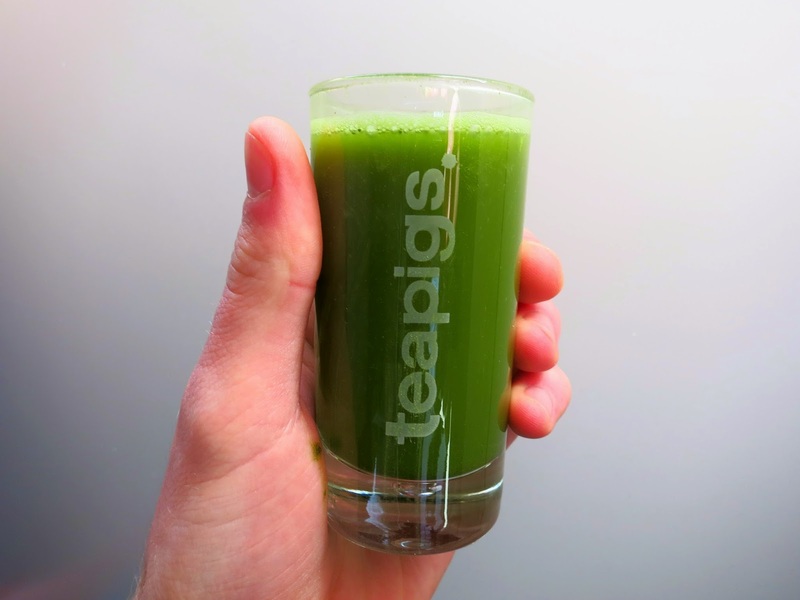 What do I think about Teapigs Matcha green tea? After conducting a little research on matcha green tea, it's safe to say that I was really impressed by it's supposed track record and amazing health benefits and also really excited to give it a try for myself! Upon opening the tin, your nostrils are greeted with the most wonderful organic and leafy herbal smell and I may or may not have proceeded to stand there with my nose in the tin for a little while, probably looking completely weird to everyone watching (warning, don't put it too close to your nose or you will breath it in, lesson learnt *face palm*). One of the main problems that I usually have with green tea is the taste. I think that everyone will agree that green tea seems to be like Marmite, an acquired taste which isn't to everyone's liking. The best think about matcha green tea is that it maintains a hint of that regular and familiar tea-like taste and more satisfying flavour than any green tea that I have experienced before so you can easily actually enjoy drinking this beverage, as well as knowing that you are filling your body full of natural ingredients and antioxidants. Technology has come a long way, so an electric operated whisk is probably a lot more efficient and less time consuming, but you can also purchase the traditional bamboo whisk used by the Japanese for a little added authenticity. Tea pigs actually sell a whisk which is perfect for mixing together the tea leaves with water or your chosen juice, although did take me a couple of goes to mix it without everything getting out of control and covering myself and everything around me in a green liquidy mess, which is admittedly more due to my own clumsiness and accident prone nature than any fault of the product! I tried hand whisking with a teaspoon which didn't seem to be as effective as you are still left with little unpleasant chalky particles, so you probably would need the additional whisk, which is extra expense but a worthy investment in my opinion. I have found that matcha green tea powder works really well when mixed in with a variety of juices, tastes a whole lot better in hot water than cold water and I have also tried adding it into a couple of delicious green smoothie recipes which I plan to share in the future, so keep your eyes peeled for those! As a science student, I am always being taught to be pretty sceptical when it comes to things until they are proven to be true, so I was really interested to see if any of these supposed healthy benefits actually worked and contributed towards my healthy lifestyle. 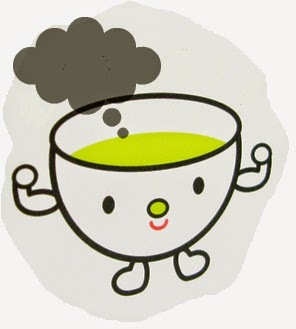 Normally a lack of coffee leaves me feeling tired, lethargic and lacking energy but I have been drinking matcha green tea in place of coffee for about a week now and, although I haven't quite reached the level of Buddhist monk in terms of concentration and focus (totally working on it though! ), I have genuinely already noticed positive differences in my energy levels throughout the day, becoming more consistent compared to usual, and I have also felt improvements in my general mood and frame of mind which really helps during this stressful exam revision period. I do think matcha green tea is more for anybody looking to find healthy alternatives to tea and coffee, but also for people that love trying out new things and enjoying a healthy life style in moderation, or just need to get more nutrients and antioxidants into their diet on a daily basis! Admittedly after just a week I do really miss a relaxing with a mug of coffee, but I have committed myself to starting every morning with a with matcha green tea in exchange for coffee, hopefully so that I can continue to see a lot more of the amazing health benefits in the future! Whether you're looking for a health kick, an alternative to tea or coffee or you're just up for trying something new, I definitely recommend at least giving matcha green tea a go, and Matcha May could be the perfect chance to join in and experience it for yourself, you may just be pleasantly surprised with what a difference it really makes to your lifestyle! I've always wanted to try matcha! I'm a green tea addict, it's ridiculous how much of that stuff I drink on a daily basis, I genuinely can't start my day without it and panic a tiny bit when I realise I'm all out! I'd love to give this challenge a go, its right up my street and who doesn't love tea pigs?? I've seen this on YouTube when my fave youtubers have talked about them. I honestly cannot stomach teas unless it is cold and sweet. Other than that, it doesn't sit well in my stomach and ends up making me a bit nauseated. Going to have to look into this, I've seen it mentioned before and heard good things. I've always wondered what matcha actually was and now I know! It sounds interesting, maybe I'll give it a go, I don't mind green tea either so I don't feel too intimidated!